The saying „All good things come in pairs” couldn’t be more true in this case. 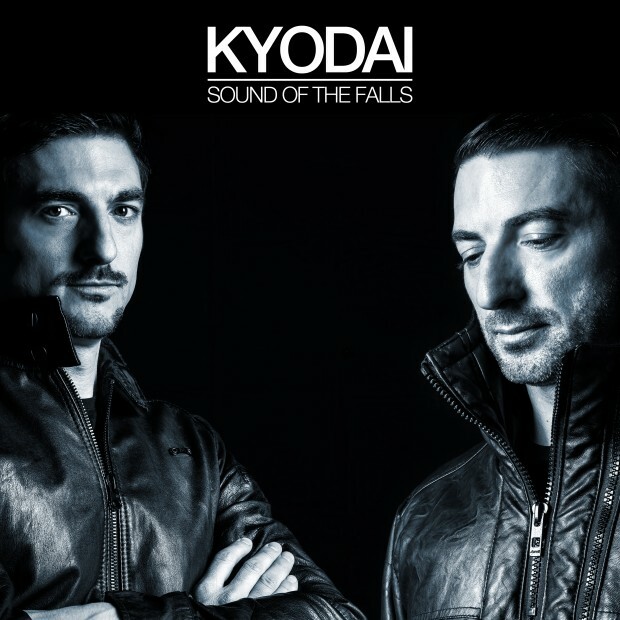 Kyodai, 2 highly talented and driven brothers, are back more powerful than ever with this „Sound Of The Falls” EP. The duo gained respect from musical heavy weights like Masters At Work, Jimpster, Gilles Peterson, Rainer Trüby and released on labels such as Freerange and Pokerflat. While their musical sound is quite elaborate they always bring an amazing energy and emotion that they also take with them during their live sets. For this EP it becomes immediately clear that they’ve taken a deeper and slightly darker path than their previous work on Exploited „Music Rises Up”. The title track „Sound Of The Falls” is without any doubt a true club banger. It immediately hits the spot with its intense bass and keeps on growing in an almost hypnotic way to a floating house track. „Streamflow” is a bit more techy but pretty similar to „Sound Of The Falls” as it’s evenly catchy and „well-groomed”. For both the title track as for „Streamflow” they’ve carefully woven in their Spanish origins without following a typical pattern. This „deeper” approach of making music definitely does these two justice. We see good things coming for them, real good things and so Exploited is incredibly proud to present you this EP.